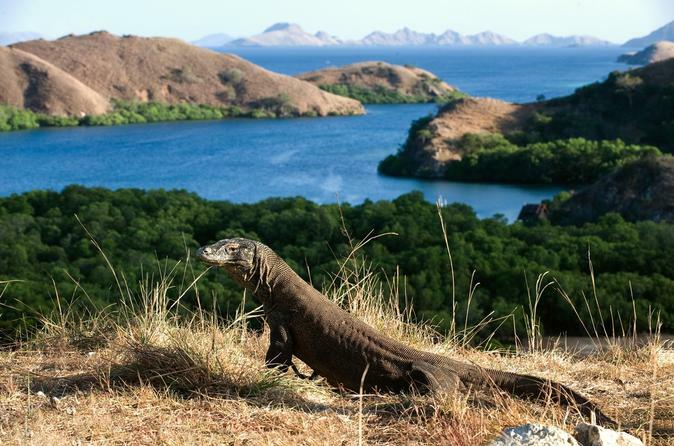 See the world’s largest lizards – Komodo dragons – under protection in their natural habitat at Komodo National Park, a UNESCO World Heritage Site. This 2-day private adventure tour takes you by airplane from Bali to Flores Island, where your guide whisks you off to Rinca Island on your own private motorboat. After a hearty hike to the giant monitor lizards and other wildlife, you will have a chance to snorkel at Bidadari Island. Return to Denpasar the next day. This two-day adventure tour with a private local guide includes an overnight stay on a private boat and three meals. With transport by private vehicle and private boat, and all of your itinerary details taken care of by your guide, this journey is a fantastic way for the adventuresome-minded to explore Indonesia’s wild side!